When you’re ready to take email marketing to the next level, you’re going to need the right tools to do it. Here are four Podia-ready email platforms reviewed. The sentiment is that if you already have a great thing, don’t put in the effort to make it better -- at best, you’ll get a marginal improvement, and at worst, you’ll undermine what makes it so great in the first place. But with respect to my cultural forefathers, I politely disagree. Because sure, your Podia storefront already makes lead generation a cinch, enables you to sell digital downloads with full control and no technical headaches, and makes customer management a breeze…but there’s always room for a power-up. And thanks to the ample email marketing integrations with your storefront, leveling up your storefront is as easy as copy and paste. So whether this is your first rodeo with your storefront or you’re a seasoned veteran, here are four power-ups to add to your store to supercharge your sales. Though, as usual, let’s take a quick detour into the why and how behind leveling up your storefront. What is a marketing stack (and why do you need one)? A marketing stack, sometimes referred to as a “martech” stack, is a collection of applications, tools, and/or platforms that the modern business relies on to carry out their promotional activities. There are a dizzying number of options for these stacks. 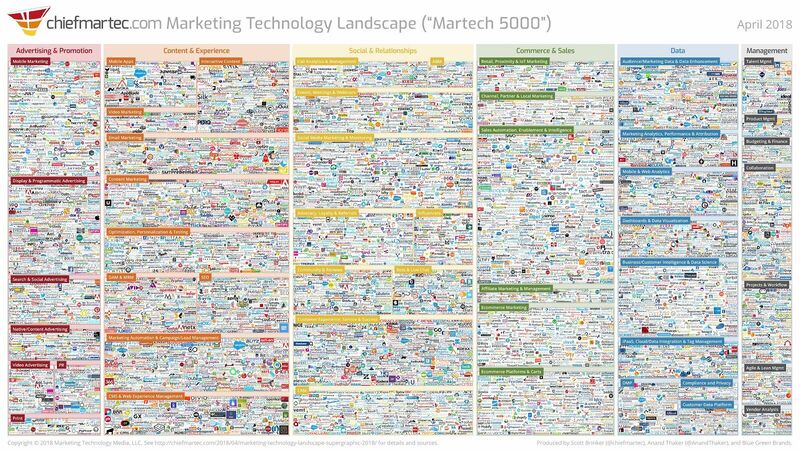 Check out this mildly anxiety-inducing graphic for the latest 2018 landscape of the biggest competitors vying for a place in the marketer’s pocket. Don’t worry: you won’t need even a fraction of this many tools, particularly if you’re hosting your storefront from Podia. Our all-in-one design eliminates several of these columns, tying together your content and customer experience, commerce and sales, data, and customer management. Nonetheless, there are a lot of options left even without those columns, and choosing the best solutions for your business is a trial that leaders everywhere struggle to master as the technology landscape changes. In fact, budgets allocated to addressing this struggle and finding the best martech vastly grew over 2018 compared to other years. On average, 29% of marketing budgets are devoted exclusively to sourcing, funding, and maintaining marketing stacks. 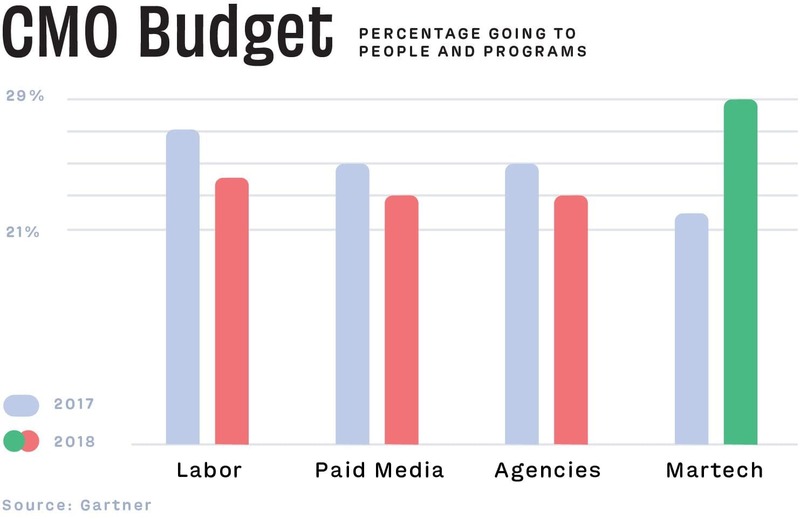 The biggest reason that these technology stacks hoard budgets might surprise you. It’s not because they’re exorbitantly expensive -- many of the most well-oiled tools can be used for free or with modest monthly fees -- but because they fit into every stage of the customer lifecycle. From attracting customers to educating them to turning them into your brand’s biggest advocate, there’s a martech stack that can automate the process and create a smooth transition between the different stages. That said, no single stack works for every business. Depending on your audience, your business size -- whether you’re flying solo or have a dream team on board -- and industry, your stack may only include a few tools, or it may be a veritable swiss-army knife. It looks far less intimidating than our first graphic, right? This one will set your nerves at ease even more. Graciously shared by MadKudu, a SaaS company that provides lead scoring and predictive analysis services, this stack is perfectly sized to provide maximum functionality with a small team. In fact, give or take a few tools, and MadKudu’s stack is nearly identical to the stack we use at Podia, and as of this article’s publishing, we’re a far smaller team at 13 employees. But I digress: The point is that marketing stacks vary in size, and the only universal between industries and businesses is that everyone needs one. Why? Above all, because having a marketing stack saves you time. That’s what nearly a third of business owners and executives say, anyway, also noting that automation improves lead generation and boosts revenue overall. That’s not just opinion, by the way. It’s been proven in countless case studies -- too many to cover without boring you to tears -- that automated marketing produces better leads, more engaged customers, and streamlined business operations. That’s what ArtsWave, a Cincinnati-based art agency that campaigns for and supports local arts, discovered when they turned their hack-it-all-together approach into a streamlined system. Prior to integrating their marketing systems, it would sometimes take months to acknowledge donors -- the very people who make ArtsWave’s campaigns possible -- after their contributions. Now, thanks to a streamlined operation, they can acknowledge and thank their donors in as little as 24 hours. “We can focus on bettering communications and analysis, and what’s really important to our mission,” explained Kate Kennedy, the Director of Philanthropy and Business Analytics. Haikara, a Finnish-born startup company that had a revolutionary idea to change the face of watches -- literally, their watches change faces -- saw even more stellar results with marketing automation. Just how stellar? 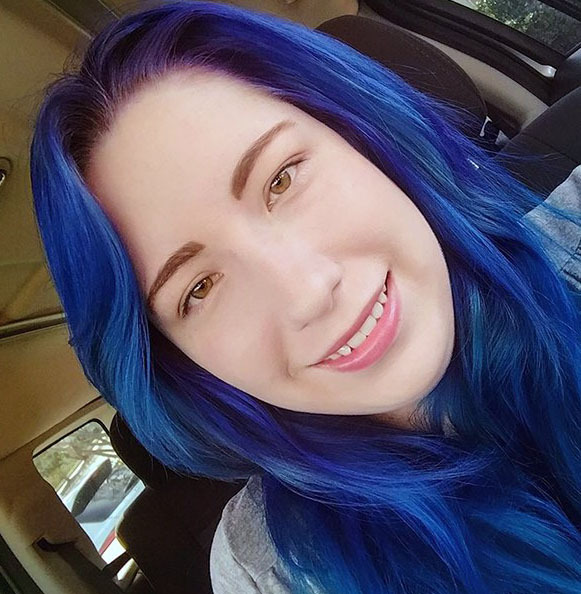 After months of testing, preparing, and lead generation with an automated marketing funnel, they launched their new product to the tune of $100,000 in the first 48 hours. 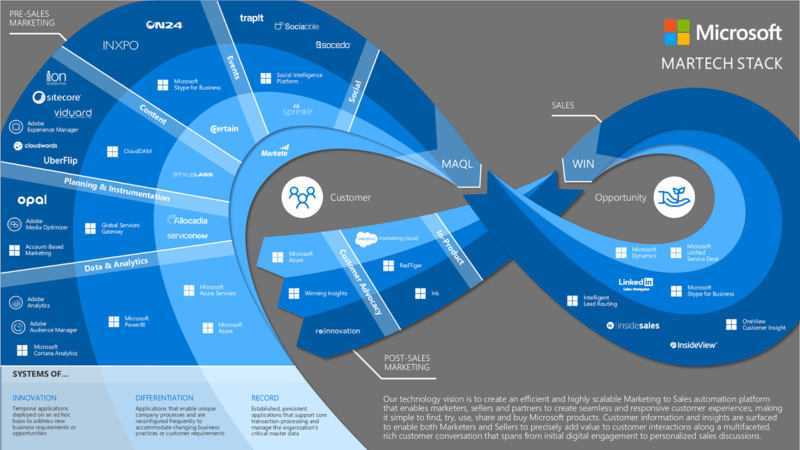 So, why do you need a marketing stack? Because if you don’t have one, you’re wasting time and losing money. Now, how do you start one for your Podia storefront? We recommend tackling email marketing first -- more on the why later -- and we’ve made it easy with plug-and-play integrations that you can access through your storefront settings. No, really -- it’s that simple. Once you find an email marketing tool that you love and set it up, all you need to do is drop the code into the integrations panel in your settings. Scroll down until you see the tool you want to use, then connect your accounts or enter your secret key. Once you’ve dropped your code or connected your account, all you need to do is hit the “update” button in the appropriate section, and you’re done. If you’ve taken a swing at any of our marketing articles, you’ve no doubt heard us singing about email marketing from the mountain tops. It’s just that good: while trends come and go, email marketing consistently outperforms other channels by leagues and miles. That said, email marketing is a catch-22 for creators. While it’s arguably the cheapest form of marketing to get into it -- you can, in theory, use Gmail, though we wouldn’t recommend it -- with the highest effectiveness rates, it’s also a slow-burn strategy. You can’t do it overnight, no matter what someone tells you. Growing your list organically takes time, effort, and more often than not, a hearty dash of content marketing and SEO to go alongside it. Organic growth is the only option, by the way. Email lists grown inorganically have poor deliverability, sustainability, and rarely result in qualified leads. As for how long an email list takes to build up, there’s no golden rule or benchmark, but in general, its growth will be proportional to the number of indexed blog pages you have. In other words, the more you publish to your blog, the faster your list will grow as a result of increased traffic. 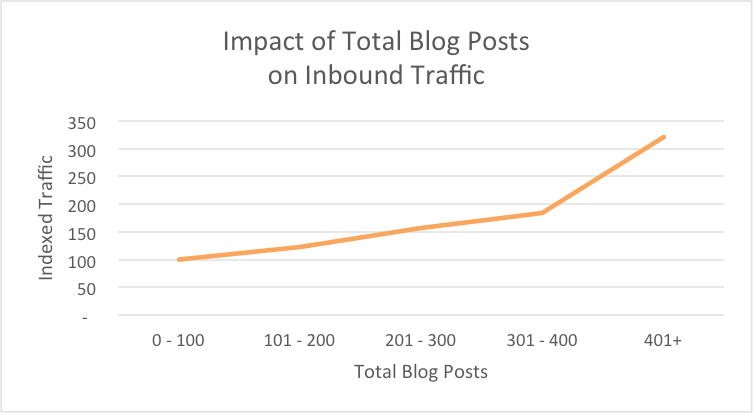 While the graphic below is from an older study (2015), the findings remain consistent today: the more blog posts you have out there, the more inbound traffic you’ll get. That traffic will, in turn, correlate to a faster-growing email list. Neil Patel, one of the most prolific figures in digital marketing, suggests that your efforts should bear fruit within the 6-9 month mark under normal conditions. The longer maturity cycle of email marketing is exactly why it should be the first building block in your marketing stack. Nonetheless, the sooner you start email marketing, the better your business will fare in future days, and the faster you can automate the process, the more you can focus on executing product development and nurturing your content marketing. It’s why we built an email marketing platform directly into Podia, enabling you to grow your list and nurture your leads from subscribers to customers. It’s the perfect tool for someone new to selling digital products like online courses and memberships, but it’s not right for everyone. And, particularly for you savvier creators out there, it doesn’t have some of the more advanced features that you’d find with dedicated email marketing services. Our solution to this problem is simple: let the experts do what they do best and integrate them with Podia. Now, with that out of the way, here are four email marketing platforms you can integrate with your storefront, their price points, and who they’re best for. Drip is a thing of usable beauty to me. It’s aesthetically pleasing without overwhelming the user, minimalist without being bare-bones, and intuitively organized to make the learning curve as quick and painless as possible. It’s also what we use for our own email marketing campaigns, with tons of features that support a business like ours -- SaaS -- and visually-rich dashboards that give us a quick overview of how well our emails perform with our subscriber base. That said, it isn’t ideal for all creators. 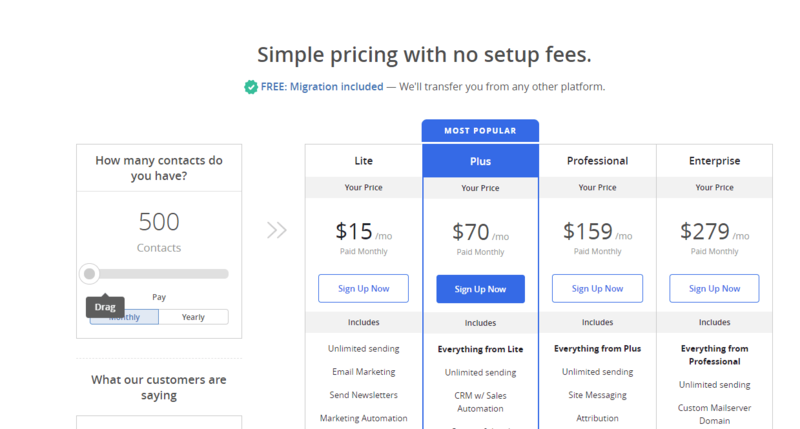 Indeed, Drip is probably best reserved for businesses that have built up their email list enough to warrant the monthly cost, as the lowest tier will run you $49 monthly. Is it worth it? Definitely, no questions asked about that, but if you’re still struggling to land your first ten customers, that price point might take too large of a bite out of your ledger. In fact, for the business that’s still getting it’s land legs with email marketing and list building, we’d recommend using the next Podia-friendly tool instead. Mailchimp has an almost legendary status among user experience designers, and there’s a good reason for it. Something that’s usable, friendly for all levels of users, and enjoyable to use. But how do they stack up as an email marketing tool? Pretty well, especially for businesses that are growing. Why? 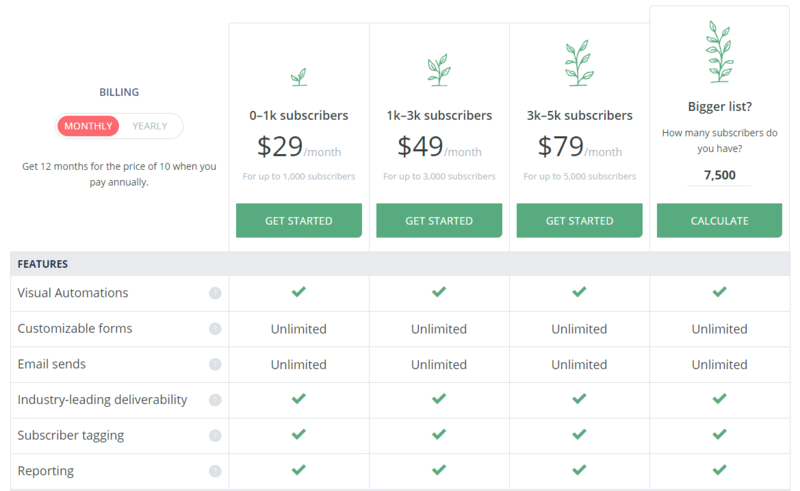 Because their free tier is powerful -- it might not have all of the bells and whistles you’ll find with the paid programs, but it has everything you need to send custom, beautiful emails -- and supports lists with up to 2,000 subscribers. 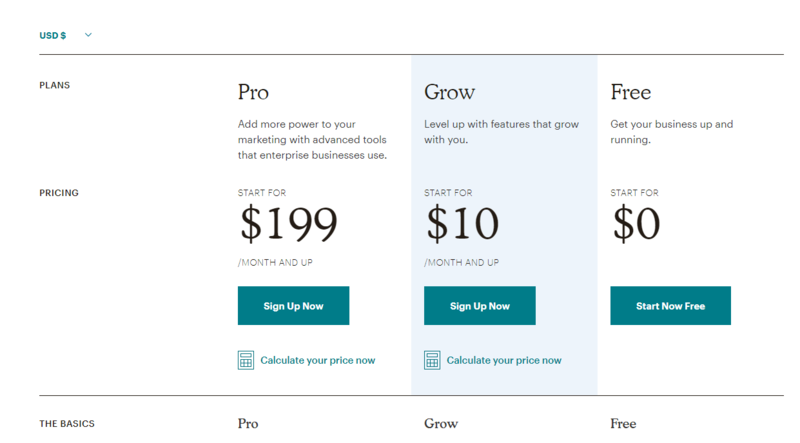 Mailchimp can be trickier to learn the ropes of than Drip, in no small part due to its variety of features, but at such an attractive entry price -- free -- the learning curve should be well-tolerated. Of course, Mailchimp isn’t perfect, and if you’re a blogger who wants to get into affiliate marketing, you might want to consider the next platform instead. ‍ConvertKit is a platform best-suited for bloggers and businesses that are past their early growing pains. It’s a popular choice among Podia’s users, and Becky Mollenkamp uses it to laser-target her customers. While the design templates are relatively limited (similar to Drip), it does offer powerful features if you’re interested in more advanced email sequences and supports all of the basics you need to get your email marketing off the ground. But what ConvertKit really excels at is its own affiliate program: if you’re looking for a platform that pads your pockets, its affiliate terms are generous and include the creative assets you’ll need to make selling ConvertKit to your audience a breeze. As for its pricing, it falls in the middle-road. While it has a cheaper entry price point than Drip, it doesn’t offer a free solution. Nonetheless, its ultra-easy tagging system still makes it a good solution for new businesses. Now, rounding out our list of email marketing tools is a platform that makes split-testing easier than anyone else. If you’re a tinkerer, this next platform is for you. ActiveCampaign isn’t the only platform that enables creators to A/B test their emails -- all of the platforms listed here give you the functionality -- but they do make it more painless than the competition. No matter how much hustle you put into building your blog with SEO, an email campaign that misses its mark will disengage that hard-earned traffic. And there’s no way to tell when, how, or why you’re losing your leads in your email funnel without experimentation. Sure, you could look at your open rates in Drip and notice that a certain style of headline is performing better than another, but trying to set up an experiment to test your theory isn’t plug-and-play. That said, ActiveCampaign doesn’t offer a landing page editor or builder, and its dashboard customizations are limited, so it’s not ideal for creators who want high-visual designs or have niche needs. But if you’re interested in digging deep with your email list and optimizing your workflow? ActiveCampaign is an easy choice, and at an attractive entry point of $15 per month for 500 users, it’s also an affordable one no matter how far along the growth chart your business is. As you can (hopefully) see, there’s no shortage of email marketing solutions for creators with different needs. While price point may seem like an automatic differentiator between platforms, consider the features that each platform offers, and its ability to grow with your marketing stack as you add new tools into it. After all, if it’s your first block in your stack, it needs to be a solid one. Jenga towers that are built on unstable blocks may make a party exciting, but they are comparatively poorer for businesses that are still maturing. The modern business relies on a multitude of tools and applications to stay afloat in the day-to-day, and each piece of your marketing technology stack must be chosen with care. Fortunately, while the number of options is daunting, starting your marketing stack off on the right foot is easy with Podia’s all-in-one design. 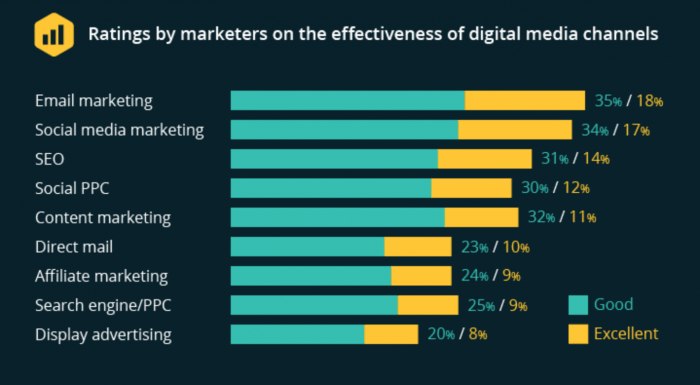 Email marketing is the most effective channel for marketing, and it’s also one of the slowest-burning channels, which is why it makes the perfect building block. Podia provides all of the features you need to get started, but it’s not built for more advanced email marketing tactics. Fortunately, when you’re ready to beef up your email marketing, integrating with Podia is a cinch. 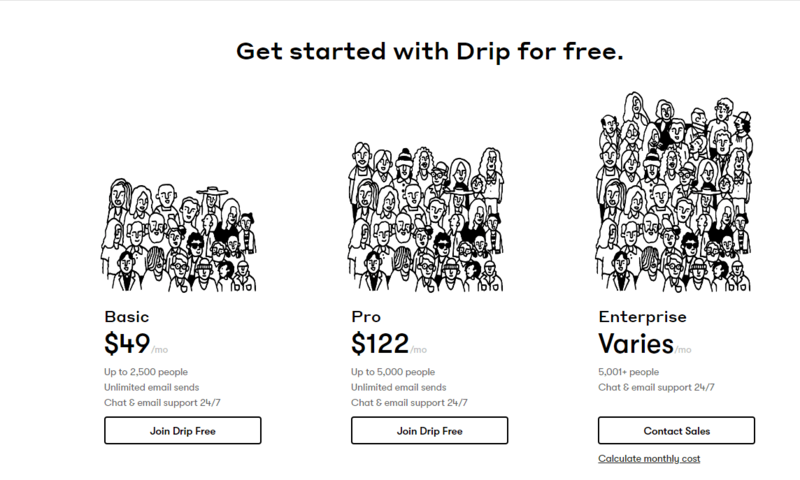 Drip is our tool of choice, but it isn’t great for creators who are still building their email list. If you’re starting from scratch, its entry price point can be a significant barrier. Mailchimp takes down that barrier, though it does so at the cost of ease of learning. Still, with a free option and design flexibility, it’s hard to argue with it as a stepping stone. ConvertKit is a powerful platform, and if you’re interested in adding affiliate income to your budget, it’s the best solution for you. ActiveCampaign is probably best reserved for businesses and creators who want to dig into the nitty-gritty of their analytics, though as the second most affordable option in our list, it’s a great entry tool for novices as well. And there you have it. Four great email platforms to supercharge your storefront with seamless integration with Podia, tons of creator-friendly features, and the ability to scale as your stack grows.